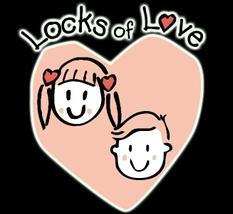 Locks of Love is a public non-profit organization that provides hairpieces to financially disadvantaged children under age 21 suffering from long-term medical hair loss from any diagnosis. We meet a unique need for children by using donated hair to create the highest quality hair prosthetics. Donate today and receive 20% off your haircut. Curly hair may be pulled straight to measure the minimum 10 inches. 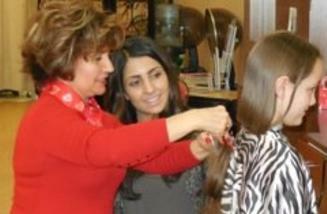 10 inches measured tip to tip is the minimum length needed for a hairpiece. Hair that has been bleached (usually this refers to highlighted hair) is not usable.